In the last decades of the 20th century, working people and their allies transformed the political culture of southern California. Once a stronghold of antiunion employers, and a crucible for the politics of resentment against immigrants and poor people, Los Angeles is now considered one of the most progressive and immigrant-friendly cities in the country. Driving this change forward was a network of service-sector unions, working-class community organizations, activist researchers, and artists. Sometimes separately and sometimes in dialog, they pioneered new forms of social movement unionism, political engagement, policy research, and political iconography. The “Justice for Janitors” campaign was a key part of this transformation. Using dramatic public actions, civil disobedience, corporate research, political action, and community solidarity the Justice for Janitors campaign maintained a persistent struggle to challenge the power of building owners and contractors. In 2012, the United Service Workers West (USWW, successor to SEIU Local 1877 and 399) donated a large collection if historical records related to the janitors’ campaign to the Department of Special Collections at the UCLA Library. The papers of the L.A. Alliance for a New Economy (LAANE) followed in 2014. 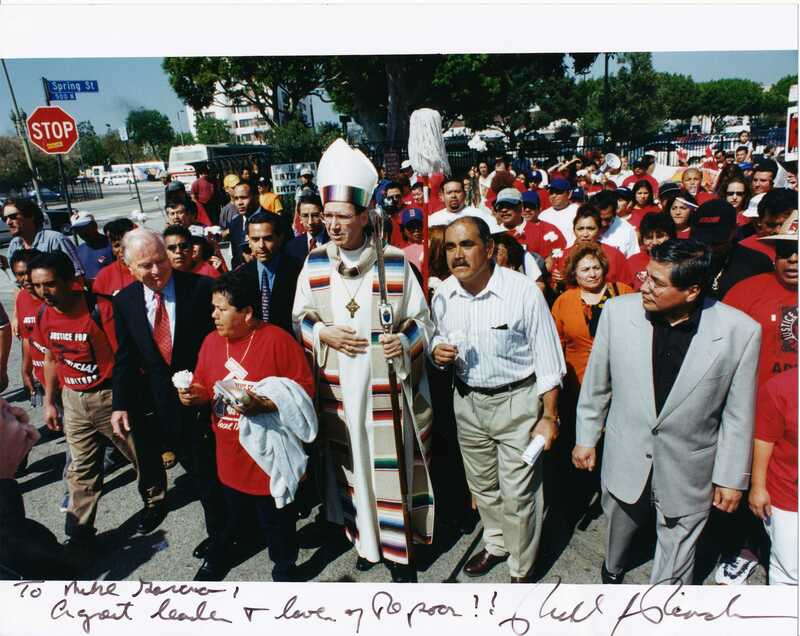 A selection of Justice for Janitors documents and videos are available on the project website, Learning from the Past to Change the Future.